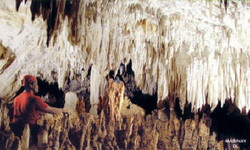 BULWANG – 159 meters long, with icicle-like dripstone. The Provincial Government has installed a walkway into the cave, and amenities at the approach such as a visitors’ reception building and dining hall. 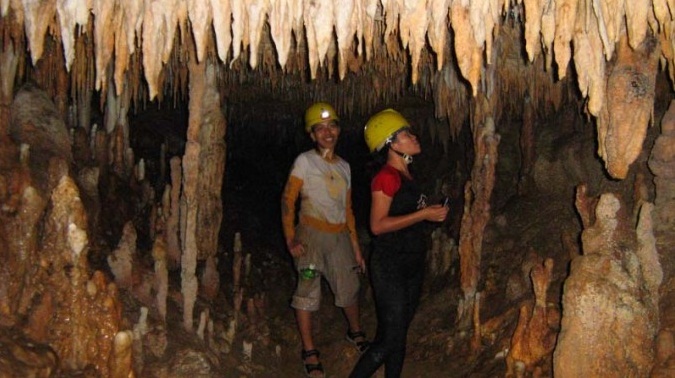 ODLOMON – at 8,870 meters, went on record as the second longest cave system in the Philippines. 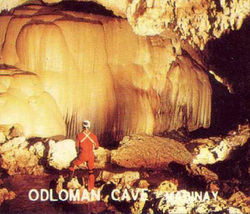 Accessed by rappelling through a hole in the ceiling or by swimming 20 meters across an underground river, Odloman has large galleries, many narrow corridors, active streams and more than enough difficult obstacles to lure extreme cavers. CAYASO – with a subterranean river flowing through its main chamber, measures 2,222 meters long to rank 9th longest cave in the country. 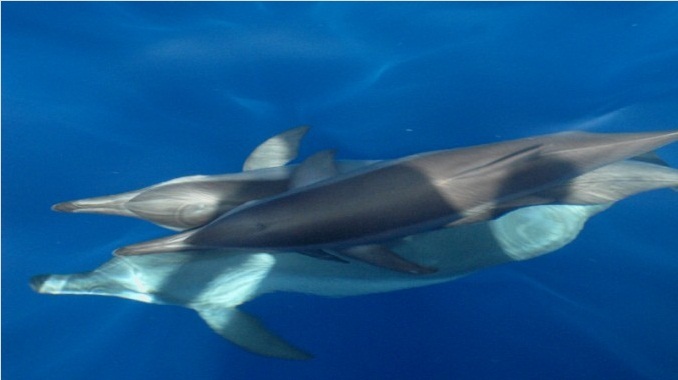 MAMBAJO – 670 meters long (right), has a chimney access and a subterranean river flowing towards a siphon to emerge in Mambajo 2. 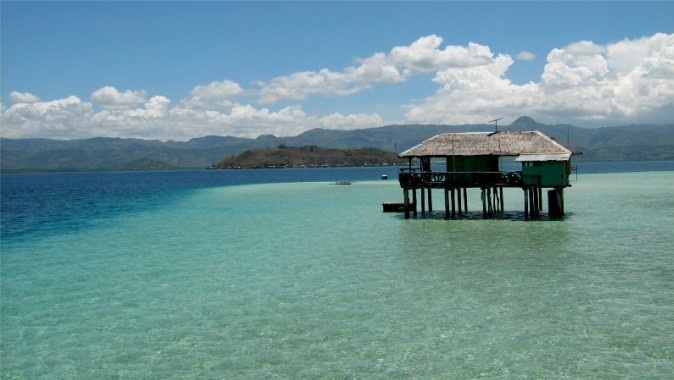 KABUGAN – 373 meters, with a large opening called the “sunny walk” midway towards a bat-colonized area. (On the other side of the valley is Tokko, a shallow cave only 20 meters deep, believed to be part of the Kabugan system.). 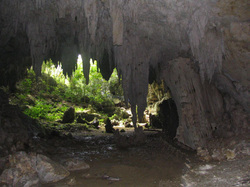 PANLIGAWAN and PANDALIHAN – popular among amateur cavers, comparatively shallow at 143 and 282 meters, respectively. 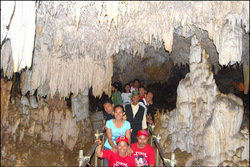 The dome-shaped Panligawan has a skylight, and wide and flat ground ideal for in-cave camping. 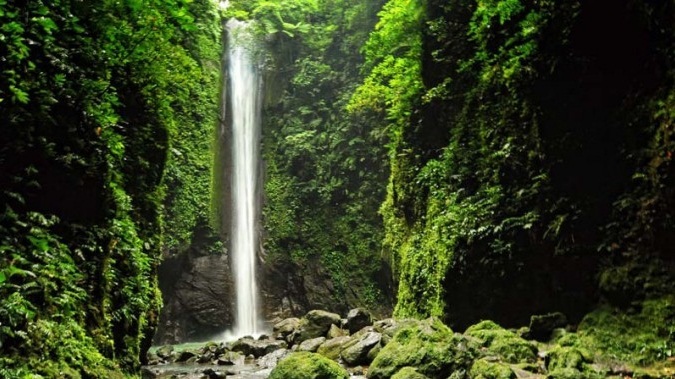 Mabinay is an interior highland town 87 kilometers northwest of Dumaguete City, through which a “short cut” highway exits to neighboring Negros Occidental. It is predominantly agricultural, with sugar as the main product. 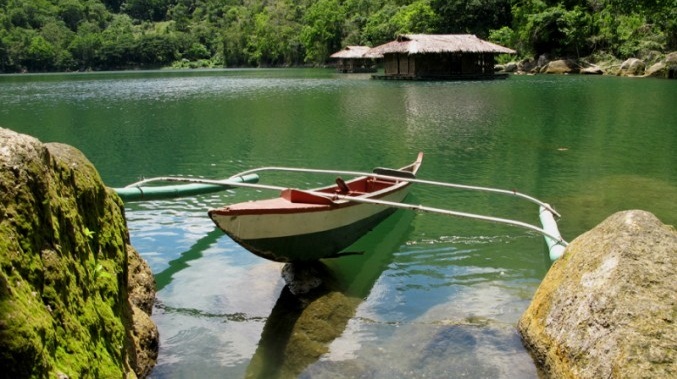 A side-trip to take is Mabinay Spring which feeds a lake set amid lush vegetation in the heart of the poblacion, ideal for picnics and swimming. Poblacion Mabinay is about an hour and a half north of Dumaguete City by all types of vehicles.